Michael Emenalo has resigned from his position as Chelsea's technical director. It is increasingly uncommon to find a head coach who negotiates their own transfers and Antonio Conte worked in conjunction with Emenalo and club director Marina Granovskaia until the former decided to quit on Monday. As Roman Abramovich's closest ally at the club, Granovskaia stakes a strong claim to being the most powerful woman in football. She has the mandate to both buy and sell players on behalf of the billionaire owner. Emenalo, meanwhile, worked under her as the technical director, overseeing the club's scouting network and academy. The duo made headlines all summer long for the wrong reasons as Chelsea appeared to struggle to seal deals for several key transfer targets. Conte's relationship with them has also been called into question, prompting rumours that the Italian might quit or be sacked because of internal disputes over player recruitment. Those reports were dismissed but a few months on, it has turned out that it is Emenalo instead who will head for the exit door. But has the criticism aimed at both the Nigerian and Granovskaia been justified? Goal investigates. WHAT DID EMENALO DO AT CHELSEA? To understand Emenalo's role we must first further introduce Granovskaia, who is the most important person at Chelsea when it comes to transfers. The Russian is responsible for signing new players and rubber-stamping contract renewals, and is currently trying to tie down Belgian stars Eden Hazard and Thibaut Courtois. Promoted to the board of directors - where she sits alongside the likes of the club chairman Bruce Buck and fellow director Eugene Tenenbaum - in 2010, she is a skilled negotiator and speaks several European languages. Granovskaia has been a close associate of Abramovich's for around 20 years and she was also the mastermind behind the club's record commercial deal with Nike. Emenalo had slightly less power than Granovskaia but was often seen at Chelsea's training ground and was a key component in the club's operational activity with Conte and the first team. He helped to identify transfer targets, alongside Conte, and provide data on those targets before a final decision was made. He also oversaw the hugely successful academy at Cobham Training Centre and the club's loan policy, which has been as lucrative as it is controversial. Emenalo rose to the position of technical director after being appointed assistant first-team coach while Avram Grant was in charge. He was the head of opposition scouting before that. He is a former Nigeria international and represented his country at the World Cup in 1994. HOW DID EMENALO GET ON WITH CONTE? Conte does not simply coach the players given to him; he remains an important cog in the transfer machine at Chelsea given his own extensive list of contacts, particularly in Italy. The Chelsea head coach has been leaned upon to make his own approaches but he would never be allowed to finalise a deal without the rest of the transfer team's input. N'Golo Kante was probably Conte's biggest success story in terms of transfers, as a conversation with the former Juventus boss persuaded the French midfielder to move to Chelsea amid competition from other clubs. Conte will usually become involved once a transfer fee is agreed and the target is granted permission to talk to Chelsea. With that being the case, as much as Emenalo has often been blamed for transfer failures the Italian had also had the chance to become involved when the Blues failed to convince Ross Barkley and Alex Oxlade-Chamberlain to join the club. Granovskaia, Emenalo and Conte was a Premier League-winning team last season but Goal understands that relations became strained at times during the last transfer window. They appeared set to continue to work together by remaining in their positions after the window had closed, but now Emenalo has quit. And while Conte recently signed a new deal with the Blues, it did not extend his stay at Stamford Bridge but merely earned him a pay rise. History tells us that coaches don't last long at Chelsea and after Conte had challenged all parties to remain united, Emenalo's departure marks the first break in the structure. The manager has expressed his desire to coach Chelsea at the redeveloped Stamford Bridge but after an apparent falling out with David Luiz and a visit from Abramovich at training, he appears to be walking a tightrope. IS THE CRITICISM OF EMENALO FAIR? In the summer, Chelsea missed out on signing Romelu Lukaku, who instead elected to move Manchester United. Oxlade-Chamberlain also rejected their advances, instead choosing Liverpool, while Barkley decided to stay at Everton. Fernando Llorente picked Tottenham over Chelsea on deadline day, even though the Blues had been tracking him since the winter transfer window. And Juventus wing-back Alex Sandro never made the trip from Turin to London despite the Blues' best efforts to agree a £60m deal with the Bianconeri. All things considered, it's fair to say that Chelsea's transfer window wasn't a total success. The Blues used to be a transfer market powerhouse. 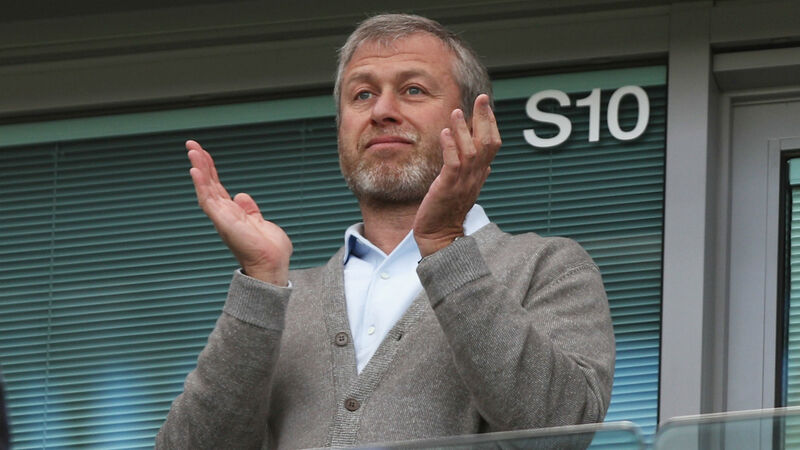 In 2004, Abramovich took over the Premier League club and within a season he took their net spend from a £500,000 profit to an approximate £153m outlay. Premier League spending has gone up across the entire league and Chelsea made six high-profile signings at a cost of around £187m this summer. But their net spend since January 2017 is now a profit following the sale of Diego Costa to Atletico Madrid. Chelsea have gone from being a free-spending billionaire's toy to a club that spends the money it brings in, thanks in part to their notorious loan system. Another criticism is that Chelsea have sold too many players, with talented youngsters like Nathan Ake and Nathaniel Chalobah amongst those offloaded. It is understood that these two, along with many other youngsters, pushed for moves away from Stamford Bridge over a lack of first-team opportunities. Granovskaia and Emenalo, however, wanted them to stay. It is Conte who favours experienced performers over promising youths and pushed to sign several players aged 30 or over during the summer, including Leonardo Bonucci, Dries Mertens and Antonio Candreva. In the end, Drinkwater, at 27, was the oldest player that Chelsea brought in. The club's directors want to sign younger players for their re-sale value. This is a repositioning of the club's approach from shopping in Paris Saint-Germain's market to that of Borussia Dortmund, who have a reputation for developing and then selling youngsters at a profit. On the one hand, PSG and Manchester City become are pushing their budgets and challenging UEFA's Financial Fair Play regulations while the Blues become more sustainable. On the other, this puts Chelsea out of the running to sign truly world-class players like Neymar. Chelsea still aim to win trophies but they are trying to do it more prudently, working in the final days of the transfer window. Deals can sometimes be completed at a lower price by that point, but they can also become more chaotic. While Conte has his say, Emenalo answered to Abramovich and the days of Chelsea spending sprees are well and truly over. The technical director's departure will not change that.